Entering 29 Years of Outstanding Programs! Featuring Nobel Scientists, Famed Surgeons, Astronauts, Noted Authors, & Business & Community Leaders! Aimed at Making 2019 Your Best Year Ever! Wednesday, February 13, 2019 from 6 - 8 p.m.! Quality Food at Reasonable Prices, and Lots of Free Parking ! We Look Forward to seeing for our 2019 Kickoff! Some of Our Outstanding Programs! Join us for an enlightening presentation by Kevin Casey, Chief Astrologer at Body Mind and Soul. Kevin's talk will focus on what he sees as the key issues and trends that are coming in 2019. 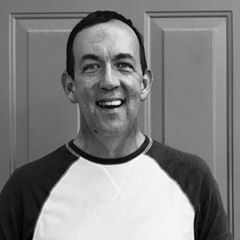 By way of brief background Kevin has been studying astrology for over 26 years and combines his experience with astrology and a fascination with numerology and tarot as tools for personal and spiritual growth. His readings are fun and are about helping you suit up and show up for the life in front of you. For more information regarding Body Mind and Soul, please visit their website by: Clicking Here! TOPIC: Timely Forecast for a Great New Year! Mack is our Annual Keynote Speaker and is one of the Nation's Outstanding Philanthropists, One of the Nation's Leading Entrepreneurs, a Compelling Author, and a Dynamic and Captivating Keynote Speaker who is the Owner and Founder of Gallery Furniture - America's Leading Made-in-America Furniture Store. Mack lives everyday to the fullest and truly believes that "Work is the Road to Salvation". Mack's talk will focus on his book, "Always Think Big!" For more information regarding Mack and his Phenomenal Enterprise please visit his website by: Clicking Here! Joe Frankie is a Compelling and Captivating Public Speaker, Prolific Author, Success Coach, and a West Point graduate who has spent 30 years as a successful warfighter and logistician who has, post military, used his military and logistics expertise in engineering, life sciences, technology, aviation, and environmental services to help assure the success of a wide range of leaders and companies from startups to Fortune 500 companies in both the public and private sectors. For more information regarding Joe Frankie and his Outstanding Accomplishments please visit his LinkedIn Profile by: Clicking Here! TOPIC: How to Supercharge Your Results on LinkedIn! Red O'Laughlin is an Impactful and Popular Public Speaker, Prolific Author, and a Wellness and Personal Growth Expert. 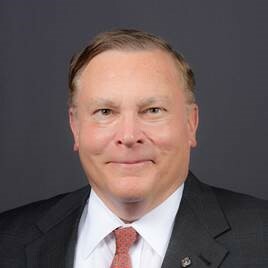 Red has an Impressive Leadership background as a Navy Captain and a Senior Manager & Certified Quality and Reliability Engineer for many leading companies from Boeing to Halliburton and Dresser Industries. Red has trained thousands in military, academic, and corporate levels. 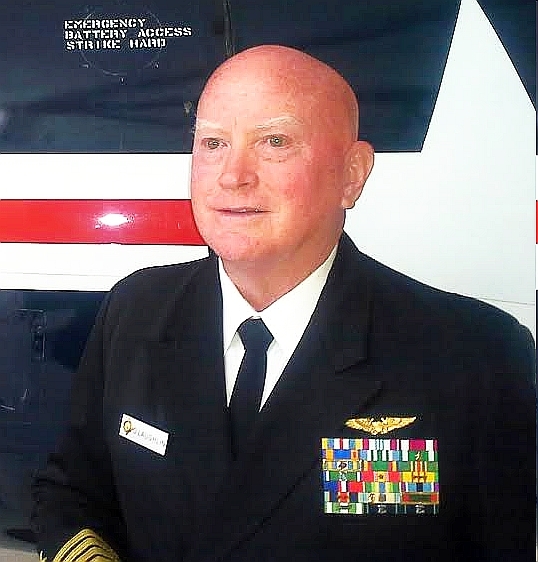 Red's talk will be focused on his Outstanding Book, "Longevity Secrets for Healthy Aging". For more information regarding Red and to order his this terrific book, please visit his website by: Clicking Here! TOPIC: The Keys to Healthy Aging! 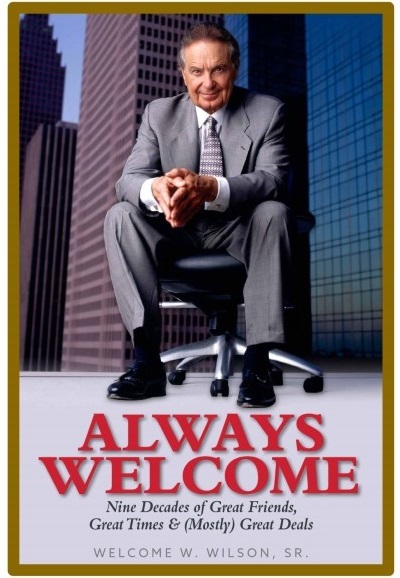 Welcome is a Phenomenal Leader who will be honoring us by presenting his captivating new book, "Always Welcome". 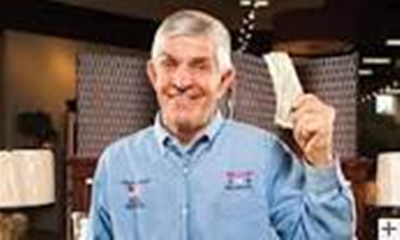 Mr. Wilson's talk will be focused on Five Impactful Keys to Assure Your Success by Avoiding His Mistakes! Welcome Senior is one of Houston's Leading Out-of-the-Box Visionary Entrepreneurs, a Captivating and Popular Public Speaker, Chairman of the Welcome Group, and Former Chairman of the University of Houston System Board of Regents. Welcome Wilson Sr. was the Driving Force behind the U of H's achieving the coveted Tier 1 Status which is estimated to fuel our economy by adding over 5000+ jobs, $129 Million in wages, $7.5 Million in additional state revenue, and $202 Million in local sales. Welcome will be autographing his books for us after his talk. In the interim, if you wish to order a few books before Sept 18th please visit www.amazon.com and put in Always Welcome. TOPIC: Five Impactful Keys to Assure Your Success by Avoiding His Mistakes! Please do not hesitate to contact me at joneliot@sbcglobal.net if you have any questions or would like any additional information. Please join us at our weekly meetings and become involved with our organization which is aimed at helping business and professional people with effective connections and timely programs to enhance and enrich their lives! Sponsored by: Premiere Media Group. "the Power to Be Recognized"